outside the Mansion House in Ffynone, Swansea. I am delighted to be able to support the Peace Mala. Like all the best ideas, its success lies in the simplicity of its message to promote peace across cultural, religious, political and geographical boundaries. The Peace Mala bracelet has no language, yet its message speaks to us all and encourages us to listen and to understand. It is a symbol of tolerance and respect that seeks out humanity's common values and celebrates diversity. 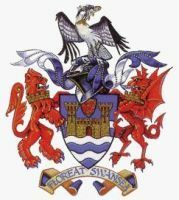 The former Lord Mayor of Swansea, Cllr Alan Lloyd, was born and brought up in Swansea. He was first elected to the Council in Swansea in 1967. And although he is a Swansea Jack through and through, he has always been a strong internationalist as well. Cllr Lloyd is interested in European and International issues, and supports the fundamental values of solidarity, tolerance, democracy, and respect for humanity. He is involved in numerous local activities, including the arts, culture, sport, and urban development. Cllr Lloyd has been involved with the Labour Party since 1956 and throughout his time in local government he has played a full part in local, national and international activities. He was elected as President World Associations of Cities and Local Authorities in 2002-04. And most recently he was awarded the title of Honorary Member for Congress of Local and Regional Authorities by the Council of Europe, the first person from Britain to be honoured in that way. 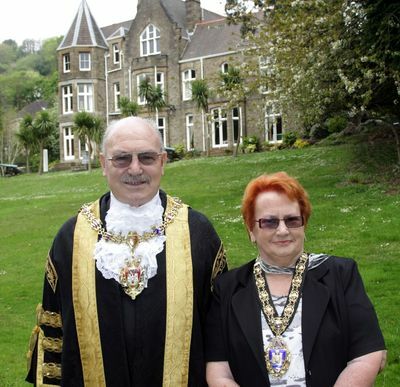 Cllr Lloyd is married to Lilian and they have three sons, Paul, Clive and the late Stephan and six grand children.